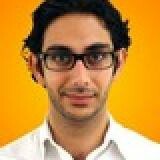 Hafez has led and grown marketing teams at startups in the e-commerce, B2B, and non-profit sectors. He is an accomplished speaker and author on digital marketing topics ranging from customer acquisition, inbound marketing, SEO, display advertising, PPC/SEM, community management, content strategy, reputation management, growth hacking, and media relations. Before joining Combatant Gentlemen, Hafez served as the Senior Director of Marketing at ReTargeter, an online advertising startup based in San Francisco. While influencers have the potential to amplify a brand's message tremendously, most influencer marketing campaigns underperform due to poor strategy and execution. This talk will present a framework for identifying and activating influencers, review some tools that facilitate campaign planning and implementation, and share examples of noteworthy influencer marketing campaigns. Check out the incredible speaker line-up to see who will be joining Hafez.